Reports have gone back and forth recently, current Windows Phone will get an upgrade to Windows Phone 8 Apollo, current Windows Phones won’t see an update. It is difficult to say at the point where exactly Apollo stands as far as upgrades are concerned. Even though we don't know all the ins and outs of Apollo and its system requirements, it seems like higher end handsets such as the Lumia 800 and 900 would be good candidates for this release. If these rumors are true, it also makes sense for Microsoft to at least test Apollo on an entry-level device to get a read on its performance before making a decision on which handsets will be eligible for the upgrade. At the end of they day, rumors are just that – rumors. So be sure to take them with a grain of salt before assuming that the Lumia 610 will definitely see an official Windows Phone 8 release. MS_Nerd is quite reliable actually, he isn't someone like joshua on verge. He always hit things right on the target. Remember mango update? May Lord Apollo show some mercy on my Samsung Focus! I don't know about Lumia 610, but i think Lumia 710/800/900 with 1.4 GHz CPU should be enough for WP8. I've just install Windows 8 Consumer Preview on My Dell N5110. After installation is over then it started booting normally, after the fish disappear my screen just shutt off itself. I've been looking around Windows 8 blog. All the solutions they gave none of them worked. Finally they apologise and say that some of the drivers are still in development and need to wait for final version of Windows 8. What is stupid is that Windows 8 Developer ran perfectly. "Here is Apollo !!! Permission for landing on Lumia series ? " "Landing approved "
Folks Nokia wants to stay alive as a Company what better way to do this than to have Windows 8 Apollo OS on it's existing smart phones. For instance they could sell a Present Nokia Lumia 900 loaded with Apollo as a Nokia Lumia 900-a for 100 bucks cheaper than the one on sale now as a Middle tech smart Phone and sell Nokia Windows 8 smart phones with Dual core. high def screen, NFC and Pure vue cameras at the current price of the Nokia 900. that would be a smart move on their part because they wont have to make as many new smart phones it cuts production costs and offers People a cheaper but functional smart Phone which is a plus plus for the consumer who does not want to spend an arm and a leg for a smart phone. Hey baby that sounds cool to me what about you? 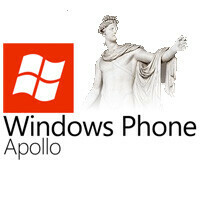 I am almost positive that Apollo will come to the Lumia line... It only makes sense. I'm not saying that it will, because things in life (especially in business) don't always follow logic. But for first gen phones, I see no hope... maybe a slight refresh update? Maybe not. Either-way I am happy with my HTC Trophy. And should Windows Phone 8 land on Verizon, I will be there to upgrade in a heartbeat.